CT Internet needed a new logo design and created a contest on 99designs. 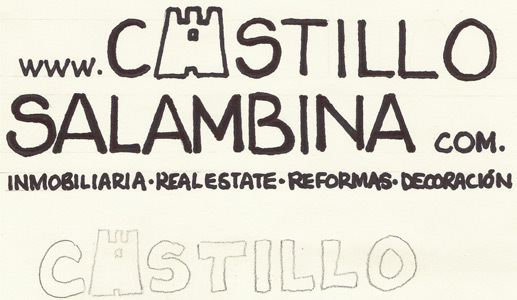 Our client needs a logo for his newly established Spanish real estate company "Castillo Salambina". The logo must be a logo-type and either very high resolution or vector based (preferred). Professional, but still open and friendly. Must work in both print and on the web. The client has submitted to us a hand drawing of his ideas. They do not have to be followed, but can be used as inspiration. I do not like the "www." and ".com" par of their brief, but would like to see suggestions where the full URL is written in conjunction with the logo-type. For reference the address is http://www.castillosalambina.com. The office of the company will be located with a fantastic view of an Arabic castle - hence the name and the reference to a castle. UPDATE: The client has expressed an interest in seeing more designs that incorporate the actual castle.